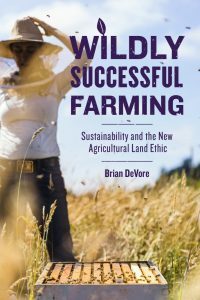 An environmental journalist is bringing his book about farmers who are changing the agricultural system to the St. Croix River region. Brian DeVore will host book readings, discussion, and signing in Deer Park, near the upper Willow River, and River Falls, on the Kinnickinnic River. DeVore is an editor with the Land Stewardship Project and has contributed to numerous agriculture and environmental publications. He grew up on an Iowa farm and managed a dairy cooperative in Lesotho, Africa while serving in the Peace Corps.